Having a set of sheets that make your bed feel much more luxurious or cozy can really make a difference with how well you sleep. As well as how excited you are to crawl into bed at the end of the day. This is why we are including sheet reviews to help you find what ones are worth investing in. Whether it be having a pair of soft, comfy flannel sheets on a cold winter night. Or a set of crisp, clean Egyptian cotton sheets on a warm summer evening can dictate how warm or cool you are, which ultimately leads to how well you will sleep. At Our Sleep Guide we are providing sheet reviews on all of these variations and options. We are giving our objective feedback on the feel and quality of the materials as well as the cost to help you decide which ones will work best for you and your bed. Eli & Elm - Whitney Sheets: Luxury, naturally temperature regulating sheets. Superior feel & quality. Brooklyn Bedding TENCEL Sheets - Super soft, breathable and cool sheets. Tuft and Needle Jersey Sheets - Super soft and cozy affordable sheet set. Bear Celliant Sheets - Soft, breathable and durable sheets that also help your body recover faster and sleep better. Cloudten Luna - Crisp and Cool Percale Cotton Sheets - soft and smooth and great for hot sleepers. Eli & Elm - Wharf Sheets: Natural 100% bamboo viscose sheets - soft, durable, cool and healthy. Cloudten Amora - Luxury Sateen Sheets with a silky, smooth and soft feel. 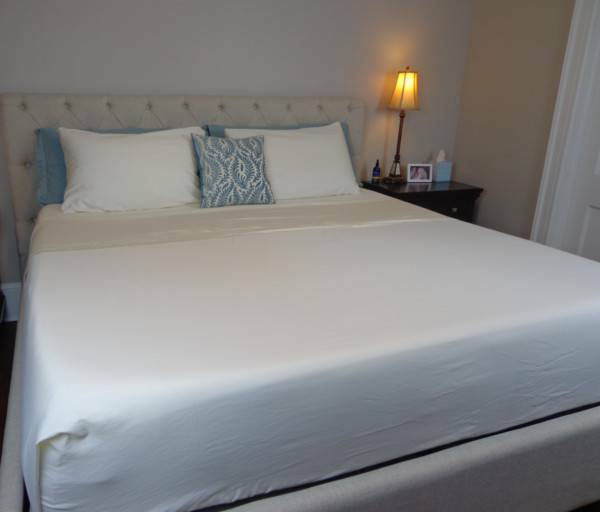 SOL Organics Luxury Sateen Sheets - Organic, high quality luxury sheet set at a great price. Malouf Egyptian Cotton Sheets - Luxury, quality highend Egyptian cotton sheet set. Malouf TENCEL Sheets - Super soft and silky as well as durable TENCEL sheet set. Brooklinen Sheets & Bedding: Sheets sets and bedding options for every size, price point and need. Malouf Cotton Blend Sheets - Luxury and practicality in one, cotton and polyester blended sheet set. Malouf Portuguese Flannel Sheets - Cozy, soft and durable Portuguese flannel sheet set. 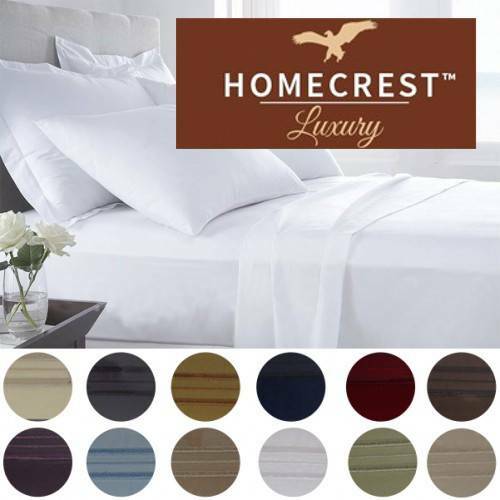 Homecrest Sheets - Budget friendly, silky smooth sheet set available in many colors and have deep pockets.